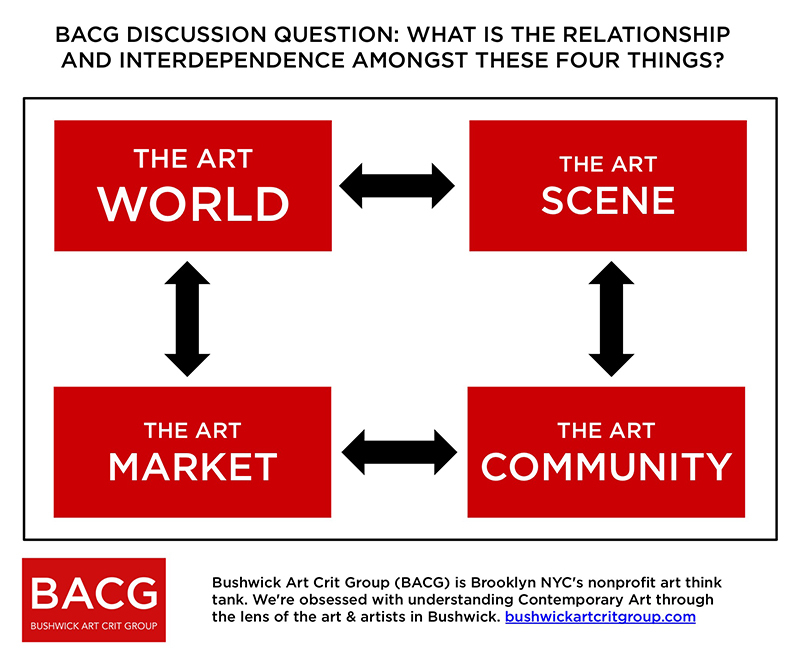 Bushwick Art Crit Group (BACG) was a nonprofit arts organization that ran for 3 years during 2013-2016 with a mission statement of understanding Contemporary Art through the lens of the art and artists in Bushwick. 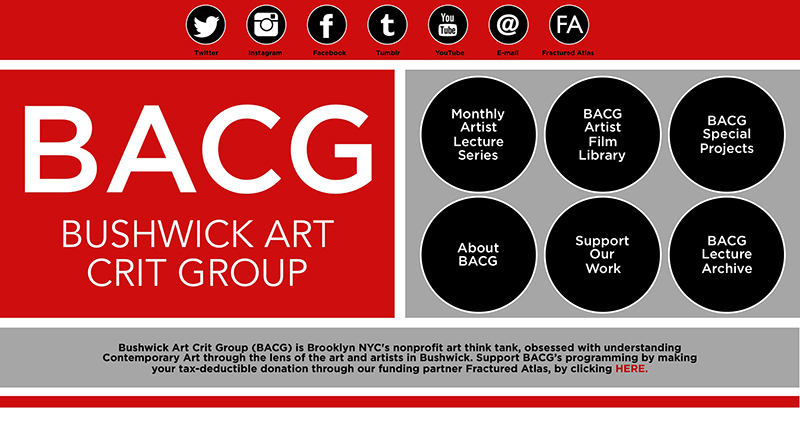 BACG was founded to give back to the art world in Bushwick, which has brought us so much joy. All of our events contained the important message, "admission is FREE and ALL are WELCOME." Our programming during BACG's first year consisted of a monthly artist lecture series, hosted at Brooklyn Fire Proof Gallery. During our second year, we expanded into multi-faceted programming, including gallery shows and art fair projects consisting of the artists who shared their work during our lecture series. We also conducted a notable feminist panel discussion with Frida Kahlo of the Guerrilla Girls and launched a YouTube channel interviewing Bushwick artists in their studios. BACG was a fiscally sponsored project of Fractured Atlas, a 501(c)(3) public charity. April 29, 2014 Bushwick Daily: Hey Emerging Art Collectors: Pick UP Cool Work From Bushwick Artists! March 18, 2014 Bushwick Daily: Happy Anniversary, Bushwick Art Crit Group!